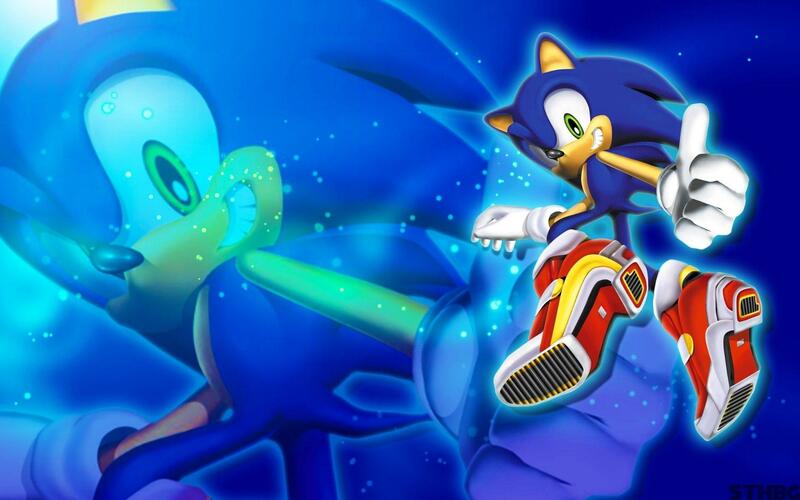 The original Sonic Scene was founded by Andrew Paulson and ran throughout 2008. Over nine years after the final demise of the golden era of fansites in 2008 I took it upon myself to restore this once popular and well regarded Sonic site to it's former glories. My names Luke and I'm the new webmaster (having spoken to Andy before doing this to check it was OK.). As much of the old content as I could physically locate has now been restored, in addition to that we've also rebuilt a lot of the old MobianLegends.com content here after first speaking to Sly Cooper the former webmaster of another now defunct Sonic site (and after several failed attempts by myself to get that domain back into practical use!). After all, why should such quality, genuine fan content be consigned to the histories of the intraweb? My aim with this restoration and preservation project is to keep a Sonic site online that stays reasonably true to the nature of oldschool fansites - it's not here to take on Wiki's and news sites but it is here to serve as a reminder of an internet gone by, that was a kind of more fun and interesting place to be; full of little sites made by genuine enthusiasts on particular games and subjects (prior to the days of pay to rank on google etc.). So here we are at the end of July 2017 with the rebuild of SonicScene.net in full swing. Think you can help? get in touch.